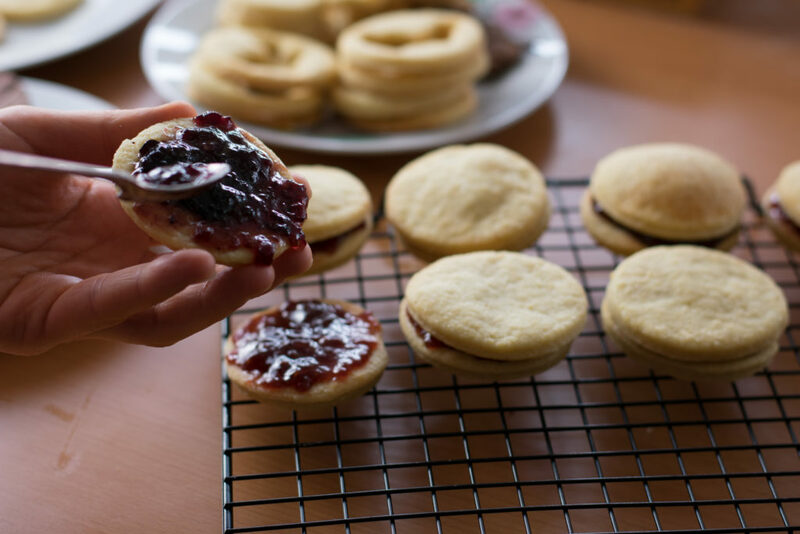 Two layers of buttery pastry stuck together with tasty jam and lots of love. 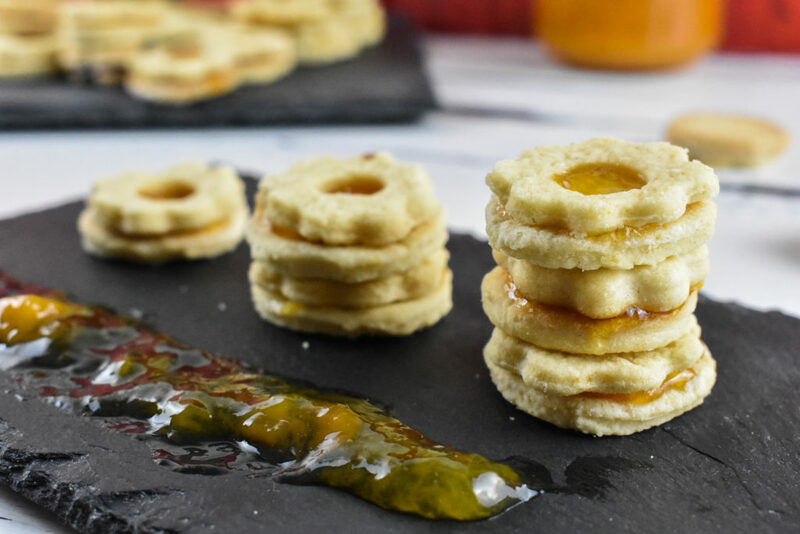 Easy, fancy looking bites that are perfect company for any encounter. Being around Easter is always a welcoming season for all foodies around the world as Easter marks the end of the lent among catholic Christians. End of the lent means that we are free to gorge on anything God seen fit to create to Earth to please its humans. As lent mostly means abstaining from meat during the 40 days before Easter without counting the Sundays. Easter translates in foodie language having something tasty once moving creature scrupulously prepared for this occasion alone. There are plenty of dishes served at this occasion in many countries around the Christian world which naturally includes all sort of delicacies besides meat. Probably the most common menu around these days are the traditional cured ham, eggs and as always, some sweets. The custom of having ham, originates in the fact the autumn butchered pork that was cured to last through the winter was about ready to consume around Easter. While the egg in Christianity is the symbol of an empty tomb and the red dye on them relates to the blood of Jesus, in our modern, happy consumer centralized setting, it is closer to the ancient symbol of fertility and rebirth. No-one wants to buy chocolate eggs that painted with someone’s blood. Dying eggs is still a great tradition and raised into a level of art in itself with all the different techniques over the years. Apart from simply dying the eggs to red, there are unbelievable painted or perforated eggs popping up around the world this time of the year. As sweets aren’t part of any symbolism, we just have them for fun and because there is no celebration without having something high carbs on the table. 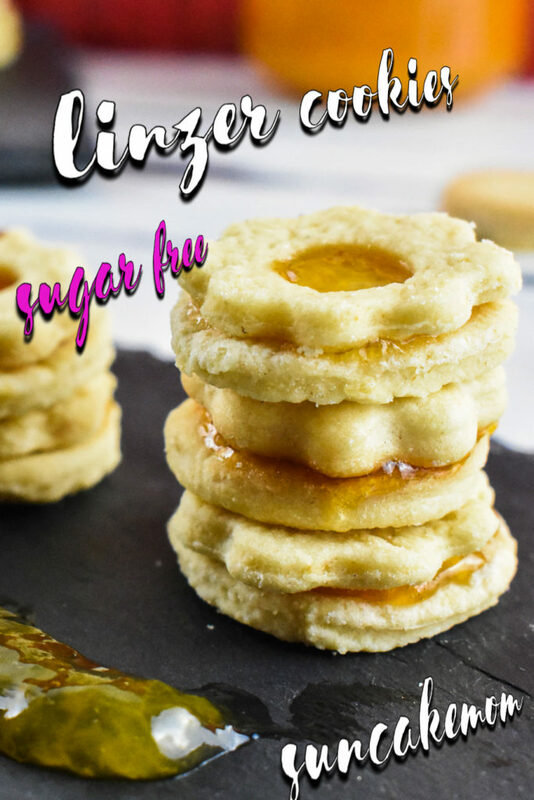 There are a vast amount of cakes, pastries or cookie bases to choose from that can be made into Easter shapes. Easter biscuits or cookies, in Britain, are used as a gift given to guests on Easter Sunday. The batter isn’t really big of a secret as it is made of plain flour, butter, egg yolk, baking powder and of course some sort of sweetener. 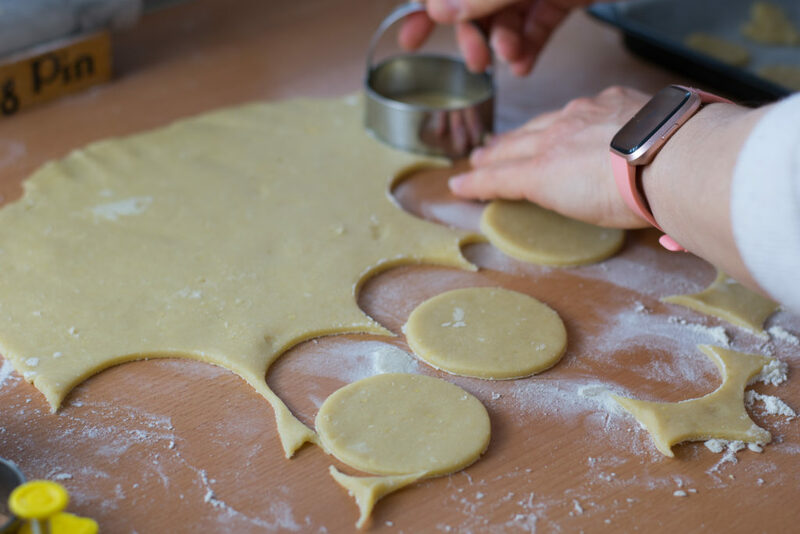 The same batter that is used to make Linzer cookies. Linzer cookies are cookies from Linz that is an Austrian city. It’s a plain cookie like the already featured Ischler but without the cocoa powder and chocolate frosting. 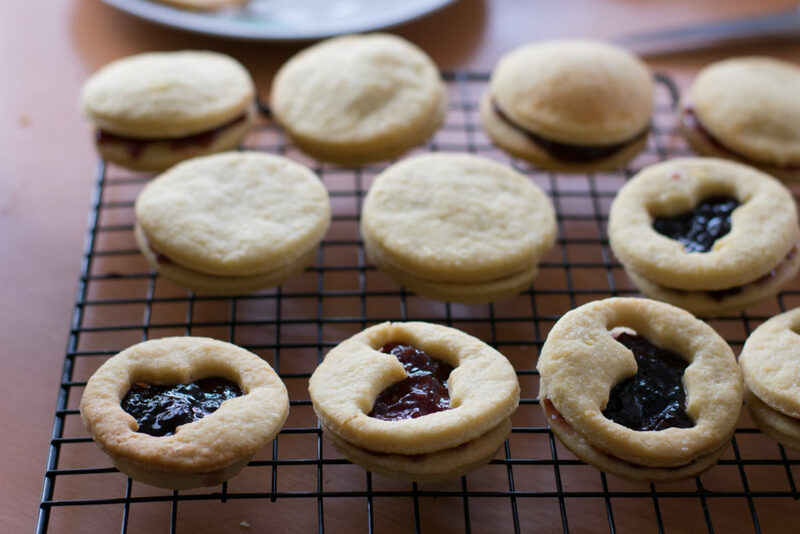 Two of these cookies are then stuck together with jam and originally sprinkled with confectionary sugar. 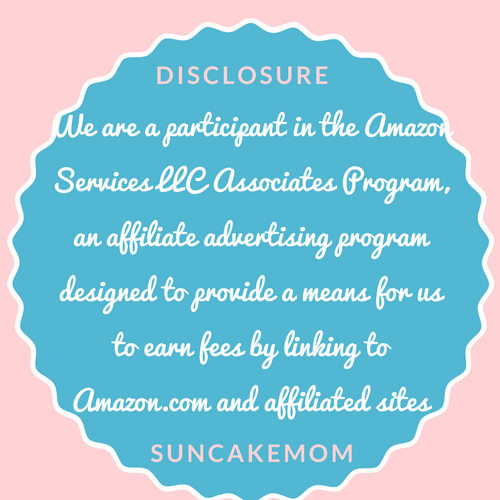 Being health conscious, we are going to use some kind of natural sweetener like honey or low Gi agave syrup but as always, it can be substituted with any artificial sweetener including sugar. 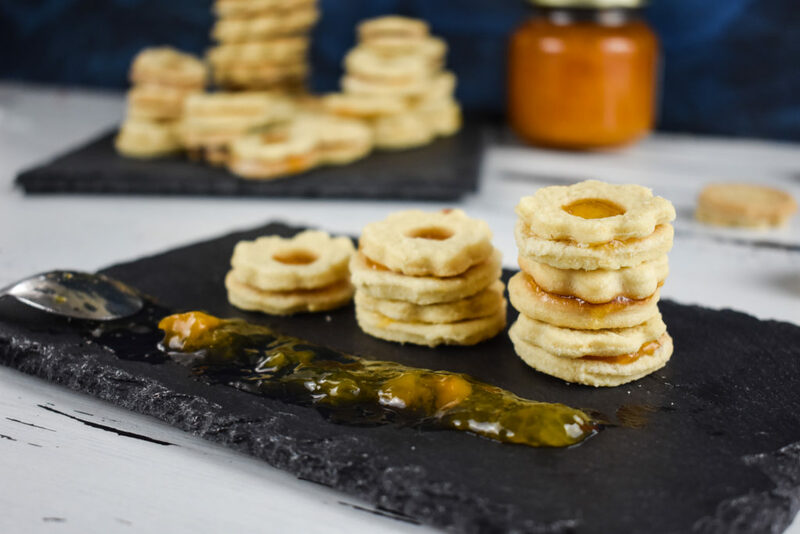 So basically, we are going to follow a Linzer cookie recipe by creating two layers of pastry using various cookie cutters then stick them together with sugar free jam like we have among the low carb condiments. 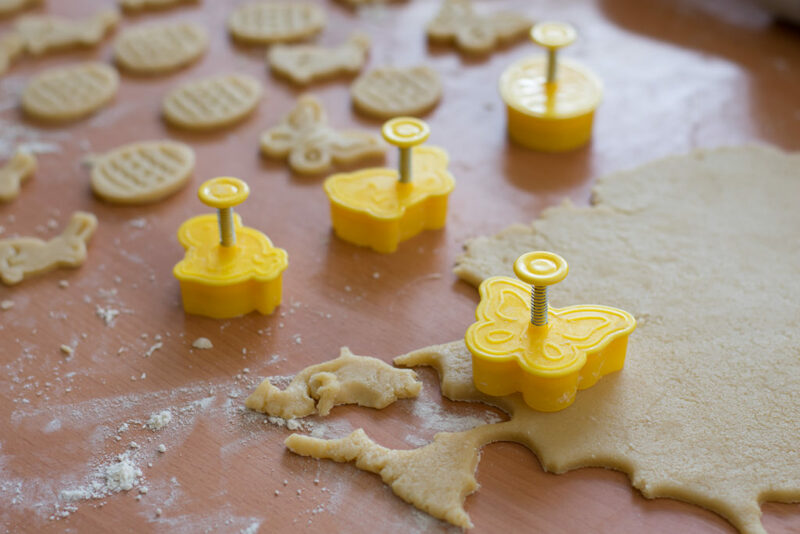 As the shapes are created with a 3D cookie cutter it provides a perfect base for further decorational activities besides the egg painting or as snacks to see us through the meticulous process of egg coloring. Set oven onto 350°F / 180°C. Prepare trays with parchment paper. Put all ingredients in a medium size mixing bowl and work it together by hand until getting an even dough. 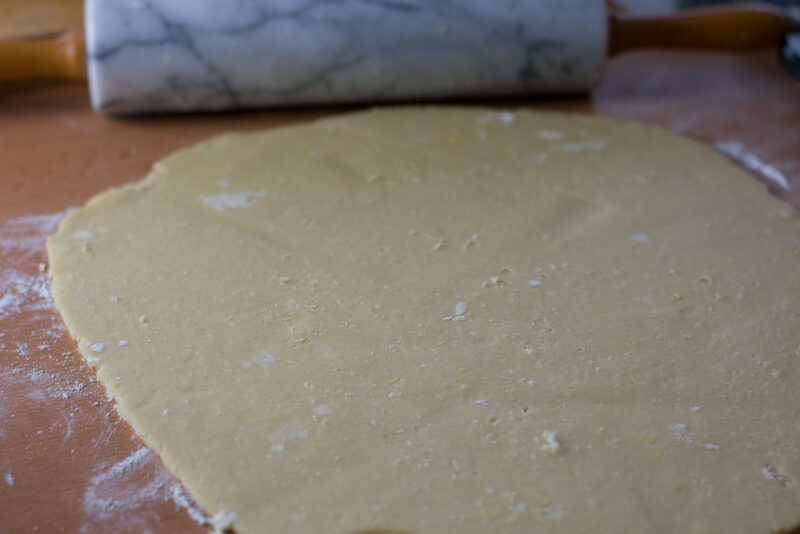 Take dough out of the bowl onto a lightly floured surface and roll it flat. 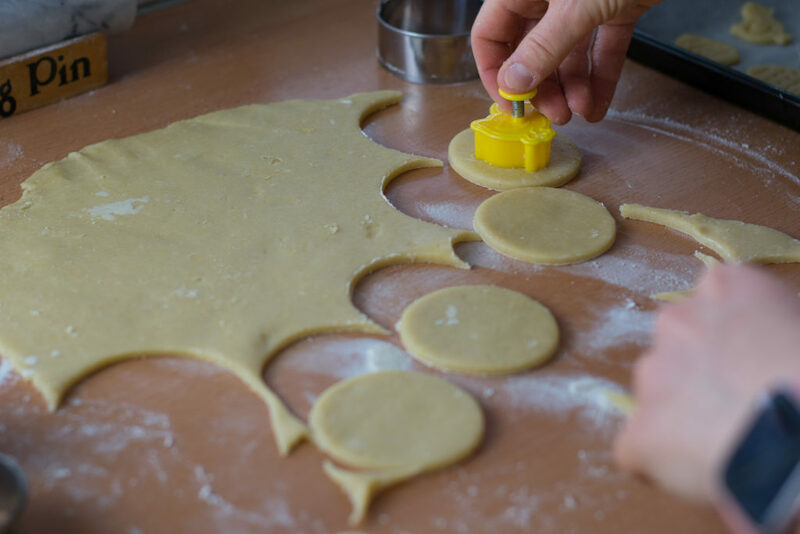 Flouring underneath the dough is important as this coating will prevent it to stick down. 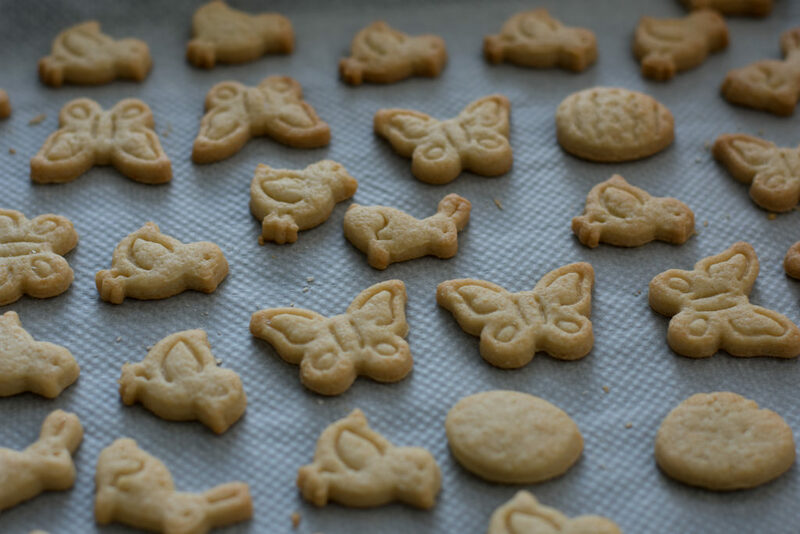 Cut out the shapes with cookie cutters and place them on the tray. Put cookies into the preheated oven for 10 minutes to bake. Take them out and let them cool down before sticking them together with jam. Stick two together with a teaspoon of jam. Leave them for a couple of hours before serving. 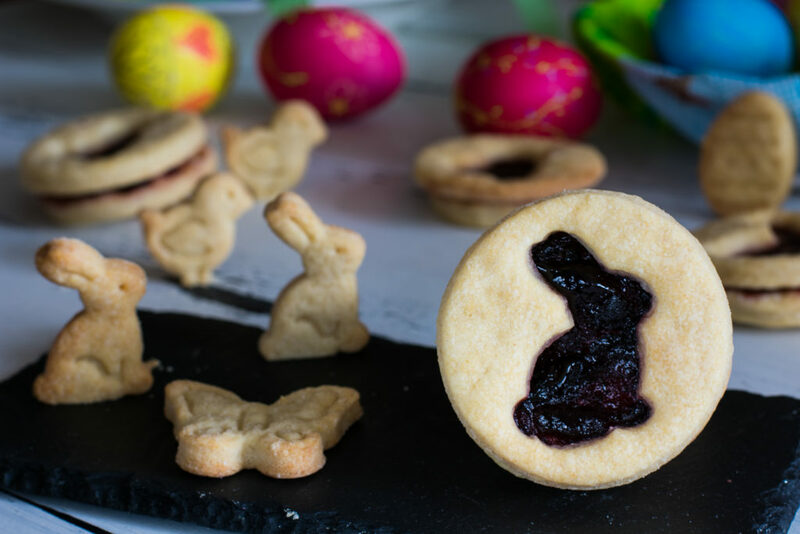 Cut out the shapes with Easter themed cookie cutters and place them on the tray.